If you read my last piece on the capture of Son of Triple Row you would understand I was itching to get back to White Swan. The drive home to Nottingham had flown by and I was already making plans for another journey south to Dinton White Swan. Four days later I arrived back at the lake. There were a few cars parked up and I could see people packing up to leave. Bucket in hand I had a slow stroll around the lake to see what I could find and if the fish were giving themselves away. The weather was lovely and a gentle breeze pushed a light ripple down the lake. I bumped into an old friend Dan Chart who I’d met on my time at the road lake. 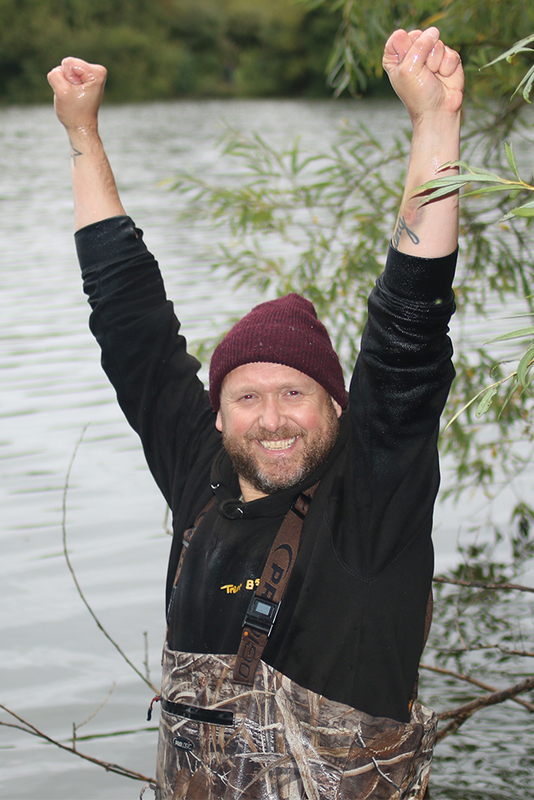 We all had a chat all carp related and what had been happening over the weekend. He told me he’d seen a few bubbles and a show in Jay's Boards which is usually quite a popular swim but for some reason, it had been left alone for a few days. We said our goodbyes and I continued on around the lake. Nothing was seen as I made my way around the lake and soon I was once again plotted up in Jay's Boards. A few casts to spots I’d regularly fished and baited soon had my confidence high as the rigs landed with the sort of drop I always look for. As darkness fell and the seagulls moved away in the distance a good helping of Trentbaits freshshrimp was liberally spread around my rods. At first light, the lake seemed ever so quiet, kettle on and the first brew of the day was soon in hand, a few bubbles around my right-hand rod soon got my attention and things were looking good. Over the next couple of days, I had a couple of low 20s from my spots, mega happy how things were going, the spots were being visited and they were liking the bait. The last night was looming so a restock of grub at the local Sainsbury’s and a BBQ with the boys and a few beers soon had me itching to get back to my swim. Rods on the spots and I was soon tucked up in my sleeping bag. Around midnight the right-hand rod was away on picking it up I was met with a solid resistance and the fish had weeded me. My usual attempts to extract the fish were futile so the rod was placed back on the rest and now I had to hope the fish would free itself without coming off. I must have dozed off because the next minute my ATTX was vibrating away on my chest, thinking it was the weeded fish I picked up the rod only to notice it was the left-hand rod that was away. As soon as I picked up the rod I could feel a heavyweight that was slowly plodding away out in the lake. The rod took on its full battle curve and this fish fought hard and long. Eventually, I gained the upper hand and soon a rather large fish was in the folds of my net. 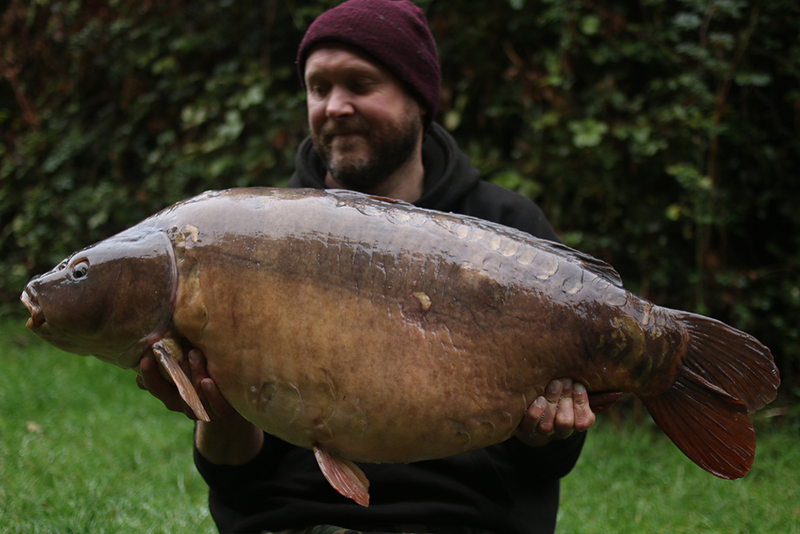 The Mighty Twin at 45lb 6oz! Now nothing can prepare you when you see your target fish in your net... hours of looking at its picture and longing to catch it and when it’s finally yours and it’s a feeling that I wish I could bottle. Elation, deep joy and emotion always play a part in special captures.... The Twin was mine, the unmistakable huge pale shoulder and that little small scale on her side confirmed I’d caught my main target. Texts sent and then as I calmed myself down I remembered my right-hand rod could still be in play... picking it up I felt the fish kick free from the weed.... oh when your lucks in !!! Another memorable fight I soon had a grey scaley one in my net... texts and friends gathered as the fish were weighed and photographed. 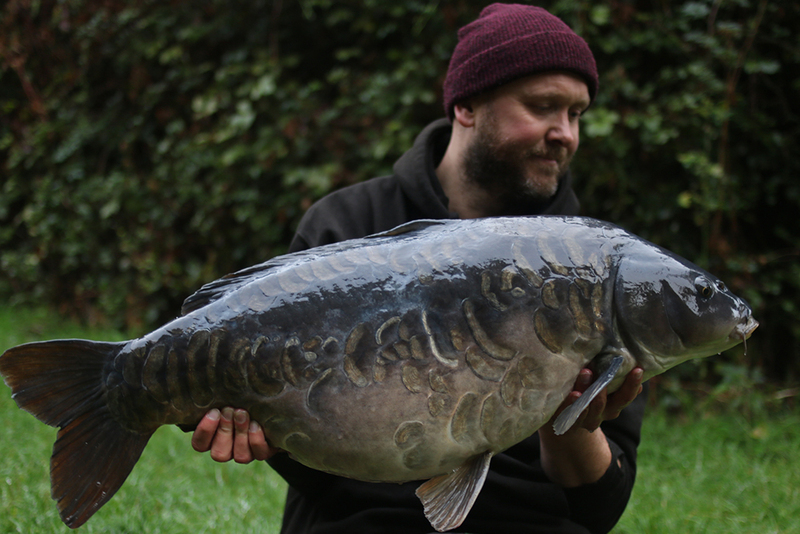 The Twin looking amazing... colour and character had always made me want to meet this fish and I’d done it. ESP Cryogen Stiff Rigger size 4, amnesia clear 25lb boom 'D' rig.